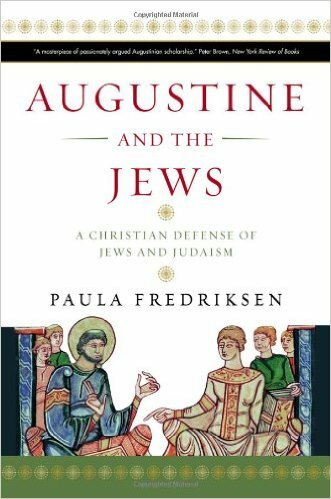 Augustine and Jews, by Paula Fredriksen, is a scholarly work showing how Saint Augustine sought to reformulate a Christian theology that would guard against anti-Jewish sentiment. Are there lessons here that we can learn from today? When Mel Gibson’s film The Passion of the Christ hit the movie theaters in 2003, I was intrigued, even thrilled, by the response. It had been a long time since a major figure in Hollywood would put his reputation on the line and produce a film that was so positive towards the Christian faith. Hollywood’s relentless attack on the Gospel had seemingly been broken. A large outpouring of Christian-friendly films have since hit the silver screen, albeit varying in quality, ranging from Gibson’s 2017, well-received Hacksaw Ridge, and other movies frowned upon by mainstream critics, like God’s Not Dead and War Room. Antisemitic violence, inspired by a Mel Gibson movie? To my knowledge, unless I have been living in some isolated, American bubble, the mass rioting envisioned by professor Fredriksen never materialized, upon the worldwide release of The Passion of the Christ. But was the professor still right? Was Mel Gibson smuggling in an antisemitic message? Well, Gibson did seem to pile on the Jewish religious leadership, but was that not just for some type of dramatic effect? In my readings of the Gospels, I have never had the sense that the New Testament unduly put the blame for Jesus’ death squarely on the Jewish leaders. True, the pagan Pontius Pilate washed his hands of his guilt. Nevertheless, it sure seems like Pilate had a major role in condemning Jesus to die. He could have intervened, if he really believed Jesus to be innocent, but he did not. The Jewish Sanhedrin rigged the outcome of Jesus’ trial, but nobody gets off easy when it comes to nailing Jesus to the cross. My evangelical mentors have always been clear about this: whether Pilate or High Priest, we would all have been complicit in the death of Jesus, had we been there in the shoes of either the Romans or the Sanhedrin. Yet, there is that verse in Matthew 27:35, where the Jewish people answer Pilate, “His blood be on us and on our children!” That does sound pretty rough, taken at face value. But surely a more profound theological message stands behind Matthew’s stated quotation. Any responsible reader of the Bible would conclude that this symbolically represents the guilty verdict that all people, down through the ages, share with respect to rebelling against God. No Christians “literally” place the blame specifically on those Jews present, and their descendants…..
Well, there is more to the story. The concerns that Dr. Fredriksen voiced should be fairly addressed. Much of the problem has to deal with a knowledge of church history that remains unfamiliar to many Christians today. 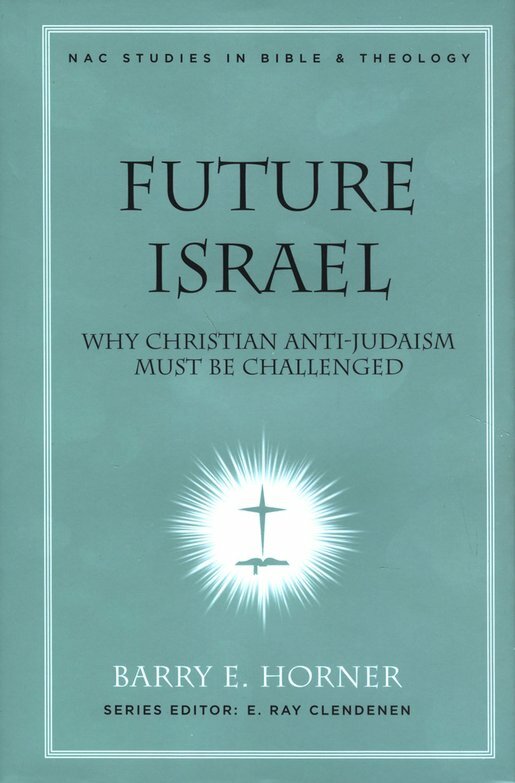 When I read Barry Horner’s Future Israel: Why Christian Anti-Judaism Must be Challenged, a scholarly look at the history of how anti-Jewish theology arose in church history, I felt a great deal of discomfort. Sure, I had heard about various anti-Jewish statements made by some church leaders, like Protestant Reformer Martin Luther and the early church teacher John “GoldenMouth” Chrysostom. But the evidence that Horner, an Australian evangelical Bible scholar, lays out in detail is quite disturbing. While some sermons preached by popular Bible teachers during the early church and medieval periods were not intended to be “anti-Jewish” from a post-Holocaust perspective, a lot of such rhetoric was received by the poorly informed church masses, that at times, did culminate in violence against the Jews. Such hatred of Jewish people has never made much sense to me, as some of my best friends growing up in my high school were Jewish. It further puzzles me as to how someone could call themselves a “Christian,” and still have such a loss of love for Jewish people in their heart. Barry Horner’s Future Israel. A real eye-opener, but brace yourself for a slide down a slippery slope. Stick with Paula Fredriksen if you want a more sturdy ride. But what really got me was this: Barry Horner lays much of the blame of sowing the seeds of Jewish hatred at the feet of Saint Augustine, the 4th/5th century distinguished father of the church from North Africa. While admitting that Augustine had a more positive relationship with the Jews than many of his contemporary Christians, Horner nevertheless sees that Augustine’s tendency to “spiritualize” many Bible themes associated with Judaism had negative consequences. For example, Augustine read from Romans 11 that Paul teaches that the church is the “new Israel,” or “spiritual Israel”. Furthermore, Augustine was the most influential church father to reject the idea of a future, 1000 year literal millennial reign of Christ as King in Jerusalem. Instead, Augustine looked for a more “spiritual” interpretation of this millennial reign, equating the millennial reign of Christ with the present age of the church. Also, the Jews lost their temple in Jerusalem and were scattered about the earth, partly as God’s punishment for rejecting Jesus as their Messiah. To Barry Horner, who writes self-consciously as an apologist for a premillennialist view of the “End Times,” Augustine had paved the way for a subsequent history of mistreatment of Jewish people by supposedly “Christian” people. Being robbed of an distinctive future hope as a nation, the Jews merely served as a type of witness to the world of the truth of the Bible. But this witness is offset by Augustine’s view that the Jews had forfeited their natural birthright to be the true people of God, just as Esau had lost his birthright to his brother Jacob. The logical outcome of this theology, for Horner, is a diminished role for the Jews in world history. One only needs to think of the Russian and Polish pogroms of the 19th century and the Nazi Holocaust of the 20th century as examples of such logic taken to its extreme, a horrific mistreatment of the Jews. I think I get the point now. Christianity is not inherently anti-Jewish, but it is possible for someone to spin the Christian story in a way that provokes anti-Jewish hostility. History repeatedly demonstrates this embarrassingly grave reality. So, this would explain why some viewers were fearful that Mel Gibson’s The Passion would stir up, yet again, such anti-Jewish sentiment. Dr. Fredriksen, as it turns out, was onto something. But is Barry Horner’s assessment of Augustine’s role in church history correct? I am not convinced.1 Ironically, Paula Fredriksen, the professor who championed the cause of rebuking Mel Gibson, has a very different view. In Augustine and the Jews: A Christian Defense of Jews and Judaism, professor Fredriksen gives us a much more positive portrait of Saint Augustine. For Fredriksen, this Bishop of Hippo is hardly the “boogeyman” Barry Horner makes him out to be. While early in his career as a Christian bishop, Augustine did espouse a negative attitude towards Jewry, his later writings provide abundant evidence that the influential bishop from North Africa actually came to a more favorable attitude towards Jews and Judaism. 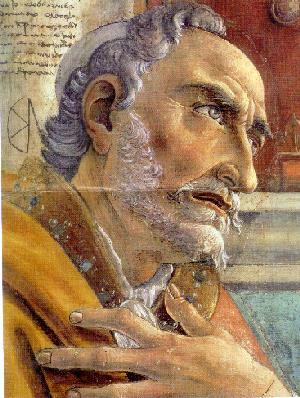 Augustine’s change of mind was prompted by his apologetic encounter with Manichaeism, a heresy that Augustine was once a part of himself before he became a Christian. The Persian “prophet” Mani, in the 3rd century A.D., had taught that people were caught in a great cosmic battle between two equally opposing forces of good and evil. The evil force was associated with all things material, and the good force was “spiritual,” or non-material. For those who live according to the flesh set their minds on the things of the flesh, but those who live according to the Spirit set their minds on the things of the Spirit (Romans 8:5 ESV). Augustine viewed this negative portrayal of Jews and Jewish faith as cutting at the very root of Christian faith. Augustine read the Bible typologically; that is, he understood that the things of the Old Testament, rooted in history, were examples, or “types,” that pointed towards the reality as expressed in the revelation of the New Testament regarding Jesus as the Messiah. To Augustine, the Jews were in error by focusing on the examples or types, such that they were not able to recognize the “real thing” as found in Jesus as the Christ. However, Augustine was also concerned that the failure to understand and positively appreciate the examples or types of the Old Testament blinded the supposed “Christian” from properly apprehending the true form of the Gospel, which was the error of the Manichees. So then, the law was our guardian until Christ came, in order that we might be justified by faith (Galatians 3:24 ESV). ..their minds were hardened. For to this day, when they read the old covenant, that same veil remains unlifted, because only through Christ is it taken away (2 Corinthians 3:14 ESV). Jesus Christ, as the true teacher, comes to lift the veil. Therefore, the Law points the believer towards Christ, but the Law of Moses is not an end in and of itself. The real object is to have faith in Christ, who shows what the Law is all about. Jesus is the real teacher, whereas the Law of Moses is a type that foreshadows the reality of the coming of Jesus. Therefore, by rejecting Jesus as their Messiah, those unbelieving Jews fail to understand the purpose of the Law, since a veil obscures their understanding. Also, the Manichees falsely lay hold of who they think is Christ, when in reality, they miss the role that the Law has in pointing the believer towards Christ. The Manichees had been unable to value the instructional character of the Law, thus obscuring their view of the true Christ. Here is another example. Fredriksen points out that for Augustine, the Jews had received the “mark of Cain” (Genesis 4). The Jews were indeed guilty for rejecting the Gospel of Christ, just as Cain was guilty of murdering his brother. But God, in His mercy, sought to protect Cain from harm. God had a greater purpose in mind for Cain, and likewise, God has a greater purpose for the Jews. For Augustine, the Jews are to be a witness to the examples and types that point towards the Gospel, as a testimony to the Truth. In Augustine’s typology, Cain is Israel and Abel is Christ. Therefore, in Augustine’s mind, Jews should be allowed the freedom to worship in accordance with their faith, without the interference of any “Christian state” that would deny them their God-ordained purpose as a witness to the Gospel. Granted, Saint Augustine lived many centuries before the modern approval of religious freedom for all faith communities in contemporary society. Augustine all too readily approved of efforts by the “Christianized” Roman state to coerce pagans and Christian heretical groups to accept catholic orthodoxy. Augustine was no “Thomas Jefferson,” advocating for a society where differing religious viewpoints were to be tolerated at the state level. But Augustine did favor a protected place in society for the Jews to study their Torah, and attend their synagogues, without fear or intimidation. It troubled Augustine that many of his fellow Christians did not appreciate the Jews and their unique contribution by holding onto the Law of Moses. In Galatians 2:1-10, the Apostle Paul tells of how the church would accept Gentile converts to the Christian faith, without requiring them to embrace the Jewish law, particularly circumcision. Yet in Galatians 2:11-14, Paul later rebukes Peter for failing to eat with Gentile Christians, due to pressure placed on Peter from some Judaizing Christians. This dispute between Paul and Peter has troubled some students of the Bible, because it would seem strange that Peter, at this point, would have gone back to his Jewish ways, after it was clearly understood that the adherence to the Law of Moses was not a requirement of Christian faith. 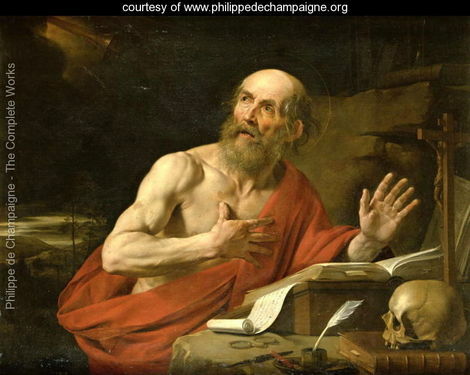 Augustine’s elder contemporary, Jerome, the famous translator of the Latin Vulgate, reasoned that this dispute between Peter and Paul was really only for “show,” as a way to teach believers about the superiority of Christian faith over adherence to the finer points of Jewish Law. To Jerome, to think that Peter would have really gone back to his old Jewish ways would have been contrary to the Gospel, and therefore, unthinkable. Therefore, Peter and Paul must have conspired together to feign this conflict, in order to provide a good “teaching moment” for their followers. But for Augustine, such play acting on Peter and Paul’s part would harm the Biblical testimony. By treating the supposed conflict with Peter and Paul as a “useful lie,” as Augustine referred to it, it threatened the genuine historicity of the New Testament narrative, thereby bringing ill-repute upon the Scriptures. Though admitting that what Peter did was still wrong in this particular case, Augustine thought that both Peter and Paul in no way completely shirked their adherence to the Law of Moses, even though they were believers in Christ. Peter and Paul remained faithful in their Jewish practice, particular when in the company of Jewish Christians, as this was not considered a hindrance to having faith in Christ. As a consequence, Augustine sought to remind the elder Jerome, and others like him, that the role of Judaism still had a place within God’s economy. Christians are saved only through having faith in Christ, and Christ alone, without needing ceremonial rules, like circumcision and adherence to various Old Testament food laws. But this did not mean that Jewish Christians were forbidden from continuing in Jewish practices. 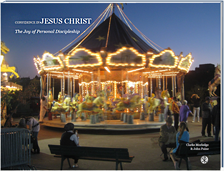 Not for Jerome: To Jerome, one must decide whether to be Jewish or to be Christian. It was an either/or choice, with no middle ground. Jerome had no room for the contemporary concept of the “messianic Jew,” who professes Christ while still upholding Jewish customs. Augustine thought differently. Augustine would not encourage Jewish practices, whether the person is of Jewish or Gentile background, as Christians are not bound to such Jewish customs. However, Christians are not to look down upon the Jews either. The Jews and their desire to study and obey Torah still serve to remind the world of God’s redemptive purposes. Has Augustine’s defense of the Jews made any type of difference in later, Christian history? In her introduction to Augustine and Jews, Paula Fredriksen gives one particular positive example. Hundreds of years after Augustine’s death, upon hearing the horrifying reports of European Jews being massacred during the Crusades, Saint Bernard of Clairvaux appealed to Augustine’s interpretation of Psalm 59:11. “Slay them not!,” was Bernard’s cry to over-enthusiastic Crusaders not to harm the Jews. Not everyone heeded Bernard of Clairvaux’s warnings, but others did, undoubtedly saving many Jewish lives. While Augustine lacks the type of sympathies that appeals to more modern readers when it comes to principles of religious freedom, Fredriksen’s analysis of Augustine’s defense of the Jews shows this great North African saint to have been ahead of his time. Fredriksen’s analysis of Augustine’s meditations on Romans 9-11 has proven to me a most very helpful part of her book. For example, many Christian commentators of Romans 9 believe that the focus of Paul’s thought is on the theory of election, with a strict emphasis on God’s predestination of the elect towards salvation. But Augustine’s reflections indicate a more intricate story, set within the context of Jewish/Gentile relations in the early church. This discussion of election takes place in the midst of Paul’s answer to an objection to the Gospel, common in his day. If God keeps His promises to those who believe in Jesus as the Christ, what does this mean for those Jews who fail to accept Christ as their Messiah? Does this mean that God has forgotten about the Jews, and that God has failed to honor His covenant with the Jewish people? Interestingly, Fredriksen shows that fairly early in Augustine’s literary career, the Bishop of Hippo held to the view that God predestines the eternal destiny of individuals based on God’s foreknowledge of what someone might do. But later on, Augustine champions the view that he is most known for, particularly those who consider themselves “Calvinist,” namely that God actively predestines eternal life on the basis of a reason known only to God, and passing over the others, thereby preserving the sovereignty of God. God’s foreknowledge and predestination are one in the same. His foreknowledge of how humans will act does not subsequently inform God’s elective decision. But how does predestination for the individual relate to God’s covenantal purposes for Israel? Augustine’s wrestling with Paul shows that any theory of election must then be understood within the context of God’s election of Israel to be His people, who would introduce the Messiah to the world. Many people, even Christians, have stumbled over the idea of God electing some, and not others, to have eternal life in God. But once you frame the concept of election for salvation within the context of God electing the people of Israel for a divine purpose, it forces you to rethink the entire narrative of Biblical history as to how and why God would unconditionally choose a moon-worshipper from Iraq, Abraham, and his descendants, to become the community vehicle from which centuries later would come the Messiah. Nevertheless, these chosen people showed themselves unable to fully comply with God’s directives, indicating that there was some conditionality imposed upon Israel in how they would realize the covenant. This frame of thought takes me in a different direction from the Reformation period battle between Calvinists, who emphasize the sovereign, “hidden decree” of God to elect some and not others, versus the Arminians, who emphasize God’s foreknowledge of future human actions, as the basis for making God’s decisions concerning election. Rather, the whole subject of election is bound up in answering these questions: “If God keeps His promises, and God made a promise to Abraham, how is it that God’s people, Israel, largely failed to receive their Messiah? In view of this, how does God intend to fulfill His promises to Israel?” I wonder if a fresh look at Augustine’s view of the Jews might help us to transcend some of the issues in the classic “Calvinist vs. Arminian” debate. 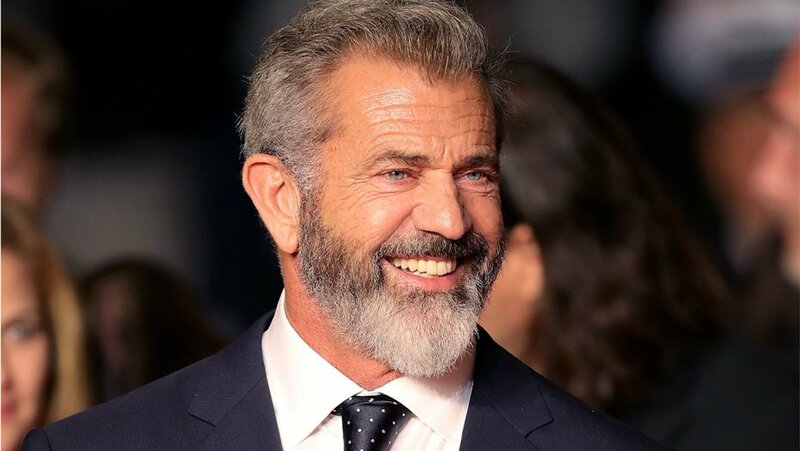 Mel Gibson, creator of the movie, The Passion of the Christ. There is much more that can be said about Augustine and the Jews. It is a brilliant intellectual history of perhaps one of the most influential thinkers in the Christian movement of all time. As such, Paula Fredriksen’s work is not something to be recommended to the casual, popular reader (about 370 pages of text, plus about 50 pages of footnotes). Though rewarding, her work takes patience to glean the most benefit. It took me a good two years to make my way through Augustine and the Jews, on and off, sneaking a few hours in here and there, but I was captivated all the way through. For those troubled by the persistent themes of dispensationalism versus covenant theology in evangelical circles, the related question of Zionism, and as well, the debate over election; that is, the sovereignty of God versus human free will, Augustine and the Jews is highly recommended. On the downside, Fredriksen’s critical scholarship background might be disconcerting, as she follows much of the non-evangelical consensus regarding the authorship of several letters, traditionally attributed to Paul, as not being really written by Paul. As an evangelical, I tend to roll my eyes when I read such claims. But critical fashions like this, should not serve as a barrier to someone who wants to dig deep into how the brilliant mind of Saint Augustine dug into the text of Scripture, to address the really important issue of how Christians are to view Jews and Judaism, an issue that continues to confront Christians, even in our day. I do not know what professor Fredriksen thinks now of Mel Gibson’s The Passion of the Christ movie, and how it relates to antisemitism, at least a decade later. By my sense is that the great African bishop of Hippo, whom she has studied with such candor and depth, would be an ally, at least appropriate to that of a man of his time, in offering support for the Jews, as a people. Perhaps someone should put Augustine and the Jews in the hands of Mel Gibson. One more thing: In late 2016, in an interview with evangelist Greg Laurie, Mel Gibson announced that he is working on a sequel to The Passion of the Christ, focusing this time on the Resurrection. My curiosity is peaked: Will Dr. Fredriksen think any differently of Gibson’s newest film, assuming it makes it to the big screen? Either way, when Gibson’s film on the Resurrection eventually comes out, it will surely create a lot of cultural conversation once again, particularly about Judaism and antisemitism. This entry was posted on Friday, May 4th, 2018 at 7:13 pm	and tagged with Augustine, barry horner, jerome, mel gibson, paula fredriksen and posted in Apostle Paul. You can follow any responses to this entry through the RSS 2.0 feed. Thanks Clarke. Keep up the great work! We are doing well and had planned to be back in Williamsburg this next week but Phyl fell and is recovering slowly. So we will plan to come later this summer. Say Hi to the fellows on Saturday.